Both varieties continue to be grown on New England soils. But neither apple is common, and we do not know all of the orchards that grow them. If you grow either Westfield Seek-No-Further or Shamrock, please let us know. The photos, incidentally, are among more than 100 pictured on the New England Apple Association website. Most of the images are original photographs by Bar Lois Weeks. 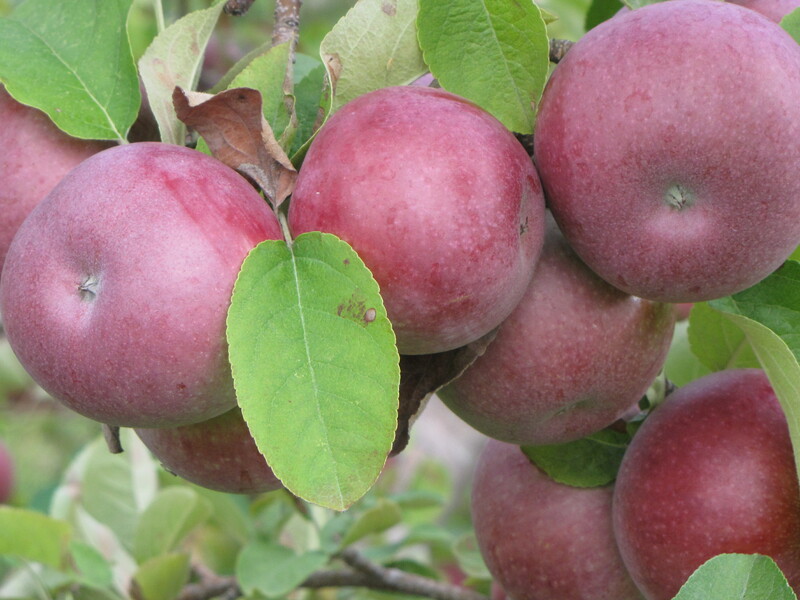 See New England Apple Finder. We’re still adding more and updating some of the descriptions. Perhaps you can help. WE MET JUDY MATHER at the Sterling Fair September 12, and although she does not use a computer she was kind enough to hand-write a letter and send it with a pair of recipes as a follow-up to our conversation about apple crisp and New England apples. Topping — 1 c sugar, 1 c flour, 1 t baking powder, pinch of salt. Stir in 1 whole egg. Mix together and spread on top of apples. Bake at 350° until top is a light “nut” brown and crunchy and apples are done — approximately 20-30 minutes. What’s the tune for “Sippin’ Cider”? Seek no further! Bear Path Farm (http://www.bearpathfarm.com/fruit.html) has Westfield Seek-no-Furthers. UMass Cold Spring Orchard (http://www.coldspringorchard.com/page2.htm) has Shamrocks. Enjoy! Thanks for finally talking about >Seeking the Westfield Seek-No-Further apple – New England Apples <Loved it!